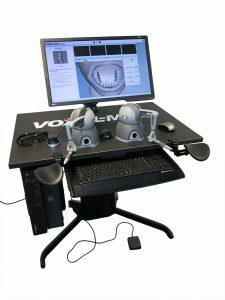 Voxel-Man Dental is a new kind of dental simulator, based on virtual reality technology. Students are working on simulated patient cases with a look and feel close to a real procedure, training both their manual dexterity and problem solving skills. 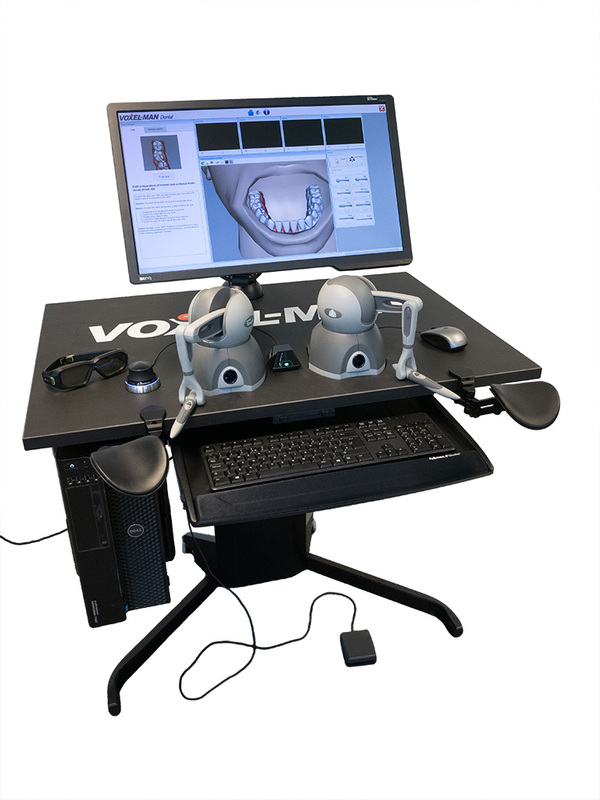 With its striking new features, Voxel-Man Dental greatly improves quality and cost-effectiveness in pre-clinical training—and beyond. At present, pre-clinical dental training is mostly based on drilling resin tooth models. These are made all of one material, making it impossible for a dental student to develop a realistic feel for the different dental tissues. Furthermore, the teeth usually have no pathologies, such that training is limited to standard preparations. An objective assessment of the student’s skills and progress is hardly possible. In Voxel-Man Dental, teeth and instruments are modeled inside a computer and visualized on a 3D screen. The high resolution tooth models were derived from real teeth by microtomography. The dental handpiece is represented by a force feedback device which can be moved in three dimensions and provides a very life-like sense of touch. With Voxel-Man Dental, you can actually feel the subtle differences between enamel, dentin, pulp, or carious tissue. Instruments provided include a selection of high and low speed burs of different shapes which are controlled by a foot pedal, as well as a dental mirror. At any time, teeth may be inspected from all sides, magnified as desired, and even be shown as cross-sectional images. 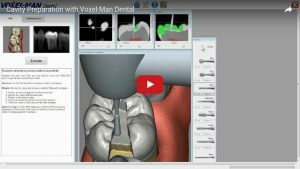 Voxel-Man Dental is fully integrated with a dental curriculum. The dental models include carious lesions at various locations, such as mesial, occlusal, and distal tooth decay. 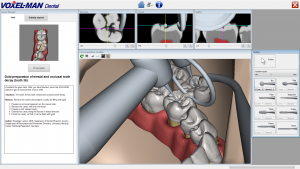 Students thus work on realistic cases, including development of a treatment plan and removal of caries, long before they see their first real patient. This approach provides a major step ahead from prescribed standard preparations to problem-based training, bridging the gap between theory and practice. All procedures can be practiced as often as needed, with no costs for disposable parts. As all students undergo standardized training procedures, results are comparable. As a step further, Voxel-Man Dental also includes an automatic skills assessment. Both process and result of a student preparation undergo an objective evaluation, based on predefined standards such as a reference preparation of a cavity or a crown. Hence, students get immediate feedback on their work, progress over time can be monitored, and instructors have more time available for real teaching. The automatic skills assessment also allows for a great deal of additional self study, reducing the demand for supervision. No need for water, pressurized air, disinfectant, etc.